After clicking pictures with point n shoot or with Smartphone, you might be feeling little limited to what your camera is capable of doing. You want something more from them but they are not able to deliver those, that’s the time I feel you should consider upgrading yourself to DSLR. At this point an entry level DSLR is a default choice. It will give you more manual control in camera, you can change lenses according to your requirement and many more advantages over Smartphone or point n shoot camera. Read here advantages of DSLR. We also should explore market to know what feature we should expect from a entry level DSLR. Our main priority should be high image quality, enough focus points, enough compatible lenses in case if you want to upgrade or a good battery life which gives you at least 600/700 shots before it needs to charge again. At this level don’t expect cameras with full frame sensors (FX) or more than 30 focus points with tilted screens. The moment you start thinking about any entry level DSLR, there are only two brands which comes in our mind, Nikon or Canon. These 2 brand offers largest collection of different lenses from cheap to the costliest ones. But let me correct, other brands like Pentax and Sony are good players too and offer descent range of lenses. Specially I love Pentax because of the quality they provide in their cameras with affordable prices and weather sealed body. I am not sure why, but Pentax has some marketing and distribution issues in India and Asian countries that’s why they are not as popular as Nikon or Canon. On the other hands, Sony has issues with their prices and lens verities and its quite limited when you compare it with other there brands. There are few camera from Sony like Alpha 58, is quite a good contender for best entry level camera but again everything boils down to, what if I want to upgrade in near future ? This is definitely not very expansive but believe me its the best entry level camera still in Oct 2017 almost after three and half years of its launch on January 7, 2014. Now you must be thinking that D3400 is in market now and why its not on top of this list. Until unless your major concern is about connectivity and sharing, D3300 would always be a better option. It has almost identical specifications as D3400 except Wireless Bluetooth connection from Nikon (SnapBridge), slightly better battery life and little bumped ISO. D3300 has 24.2MP sensor capable of capturing all details, it also ditches anti-aliasing filter to maximize image sharpness and most importantly its clever guide mode is immensely helpful for beginners on how and what setting to select for any specific scene. It also comes with Versions II of 18-55 collapsible kit lens. The only disadvantage is, it doesn’t have articulated touchscreen display and wireless connectivity. Though for wireless connectivity you can purchase Nikon’s plug-in WiFi adaptor which is not that costly. 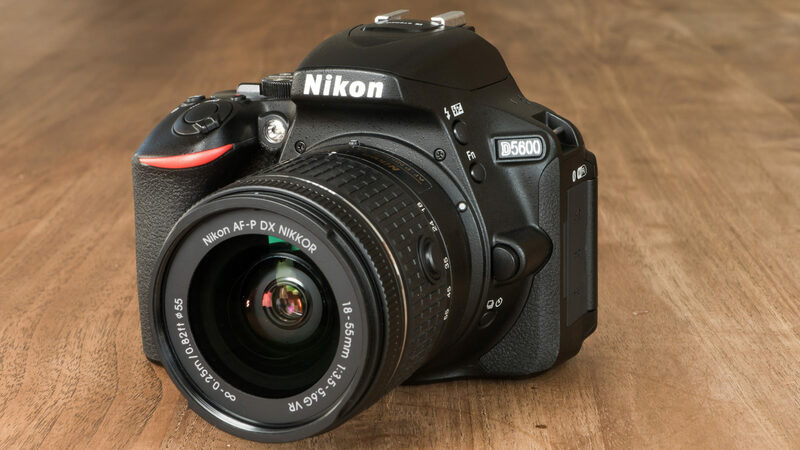 This is the latest Nikon’s entry level DSLR, a successor to D3300. It just adds Nikon’s Bluetooth Snapbridge connectivity to transfer images to your smartphones and is much easy to share on social networking sites. Its really great entry level camera even if specs are almost coming from the house of D3300. Still if you hate connecting wires to share images then you can opt for this choice as well. This will definitely wont disappoint you specially when prices if D3400 has dropped a quite since its release in last year. 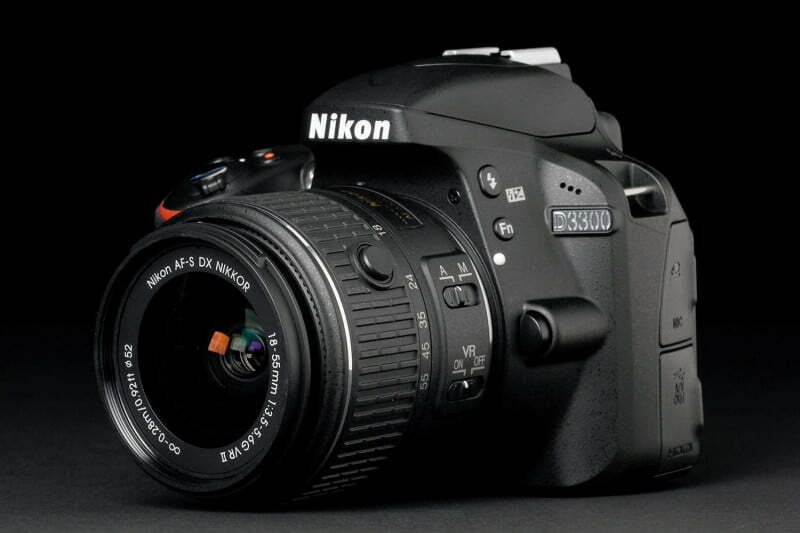 This camera is lightly costlier than D3300/D3400 but its a modern DSLR with feature rich specifications. Great 24.2-megapixel DX-format CMOS sensor which can take takes full HD 1080p video at 60 frames per second. 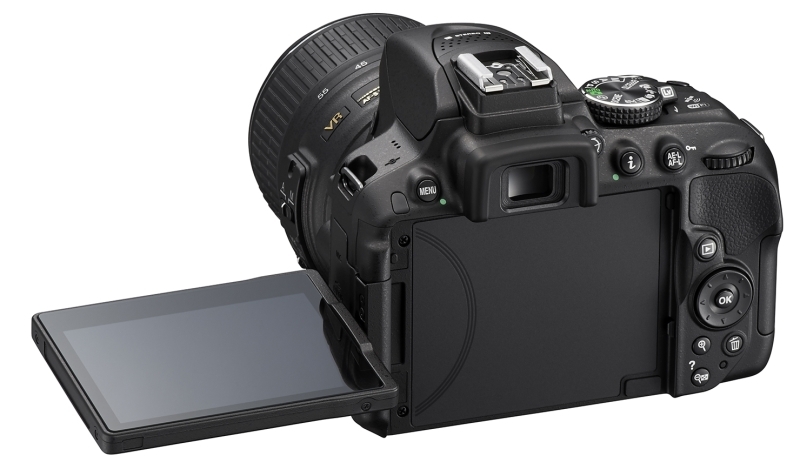 This also has 3x optical zoom and the can shoot up to 5 frames per second and for connectivity you can use Nikon’s in-house Snapbridge app to share with any mobile or tablet. This is again slightly on pricier side. Canon 750D offers you same APS-C sensor as its competitor with Digic 6 image processing software inside. This camera comes bundled with 18-135 lens which offers great zoom range to play with for beginners and offers good image quality. It also comes with built-in WIFI NFC connectivity options to share images along with articulated touchscreen. 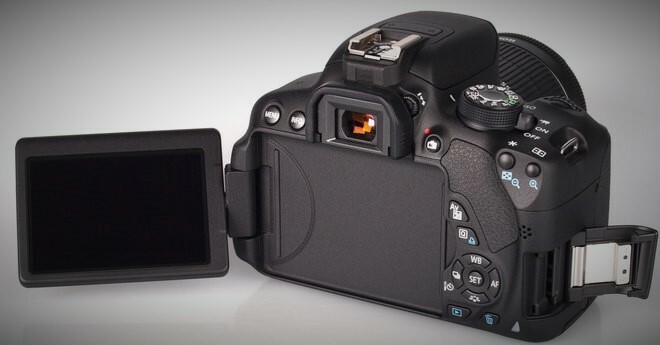 Canon 750D has a shorter battery life in its calls and normally has a shooting life of 440 images. So you might have to carry one extra battery for a whole day shoot. Also the view finder has a coverage of 95% and a magnification ratio of 0.51x. 95% coverage means that what you see in your viewfinder while shooting will slightly be different from the actual image. 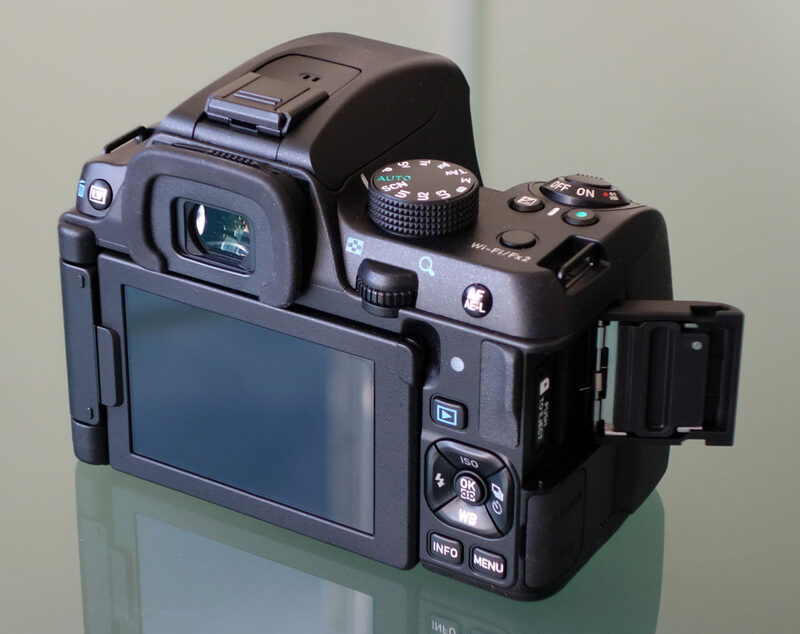 D5300 was in market for more than a year before its successor D5500 arrived. It has same 24.2MP sensor with an identical maximum ISO of 25,600 sensitivity as the D5500. With 39 focus points and Expeed 4 image processor same as its successor. It does have a great battery life of almost 600shots before you need to charge again with extreme light carbon fiver composite body of 480g. D5300 doesn’t has a fancy articulated touch screen but it has the GPS instead. This might not be a latest camera but still a smart buy. Canon EOS 700D is a 18.0MP Entry-Level DSLR camera with a APS-C sized CMOS sensor. 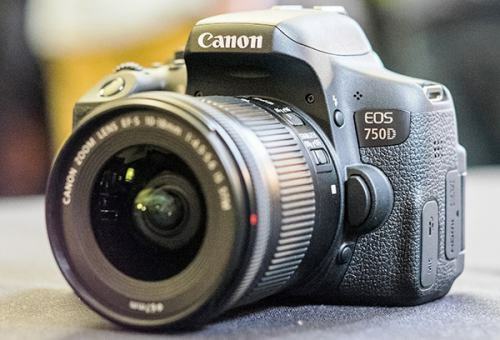 700D is also sold as EOS Rebel T5i in some of the countries. It also has the articulated touch screen with 1040k dots. With ISO of 12800 it can capture descent images in low light conditions. It also has 9 cross type focus points. Like 750D it also struggles with battery life and hardly gives you 440 shots till your battery dies. Also due to only 9 focus points its not good camera for action photography or for birding. Though its good for portraits and street photography. Well, it might be a odd option here among canon and Nikon but an entry level list can not be completes without this rugged performer from Pentax. This company is renowned for producing high quality DSLRs with maximum X factor. Its a Weatherproof DSLR which is rain and dust resistant and also it doesn’t cost as high as you will think. They offer this protection with reasonable price, just partner it with weatherproof lenses and you are ready to shoot in any condition. Also Pentax’s in-camera Shake Reduction system cuts camera shake and can even correct slightly skewed horizons. The only reason I feel Pentax doesn’t make to top is its limited range of lenses and some marketing issues. If you can extend your budget by little, you can buy this multi purpose beast. Its features make it fall into more of a professional category, but it’s officially classified under intermediate category. In terms of features and specification. It has got 24 megapixels APS-C CMOS sensor with highest ISO of up to 25,600, 51 autofocus points, 2 SD card slots, Full HD 1080p video recording with Slow Motion (slow motion recording) and its shutter speed of 7 photos per second when using burst mode. Its 2 card slot is very useful for storing the pictures on one card and having a backup on a second one in case there is a problem with the first one. The most important feature of this camera is its internal sensor which is fairly big (23.5 x 15.6 mm), which gives it its unparalleled photo quality. A DSLR can be your new best friend if you learn how to use it properly. One of the main reasons is, of course, the incredible flexibility it can provide you with. Perhaps the coolest feature of most beginner DSLRs is their amazing image quality. Even the low-end models of today are capable amazing results. So irrespective of which brand you select, you are going to get enough feature to start photography and spend couple of years learning, tweaking and playing with different settings. Go out and shoot as many images as you can until your battery dies or memory card gets full. You might get very few good shots to keep these with you but remember that, its just as start, A long way to go..
Good review of pros and cons of each models.